Are you wondering about the privacy controls that the Edge browser will offer you? Here is a look at the things you can do to control the privacy of your browsing experience. 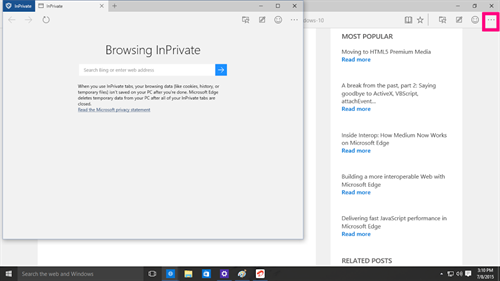 Edge continues to offer the InPrivate Browsing experience that Internet Explorer had. You can open an InPrivate Browsing window simply by hitting the More Actions icon (…) and selecting the second option on the drop-down menu, which is New InPrivate Window. As usual, when in the InPrivate window mode, you will not be able to save history, cookies, temporary files etc. Edge will also delete all temporary data from your device or computer, after you close the InPrivate tabs. Microsoft Edge will also let you control other privacy settings with two clicks from the More Actions menu. To access these, hit the ... icon at the top right corner of your browser window. This opens up a drop-down menu, from which you have to select the Settings option. Scroll down the Settings sidebar to find the Advanced Settings option. Hit the View Advanced Settings option. As of the Project Spartan build 15.10130.0.0, available to Windows 10 Insider program members, you will find the following toggles under the Privacy heading in the Advanced Settings menu. You also have the option to choose what the browser does with cookies. As of now, the Offer to save passwords toggle is set to default Off and grayed out. It is expected that the user will be given control over password saves when Windows 10 and Microsoft Edge finally launch in July. The Save form entries toggle is set to Off by default, but you can toggle it on to enjoy the convenience of auto-fill when filling forms online. Block pop-ups is toggled On by default. Convenient access to the control means that you can easily toggle the browser's pop-up blocker off if you visit a legitimate website that uses pop-up forms or Facebook sign-ins for instance. You can choose whether you want your browser to block all cookies, block only third party cookies or not block cookies at all. Allowing sites to save protected media licenses on your device means that you can play DRM (Digital Rights Management) protected media on your browser without the need for adding any plug-ins. It is recommended that you keep it turned on, since Edge promises to enhance media viewing experience dramatically for users. 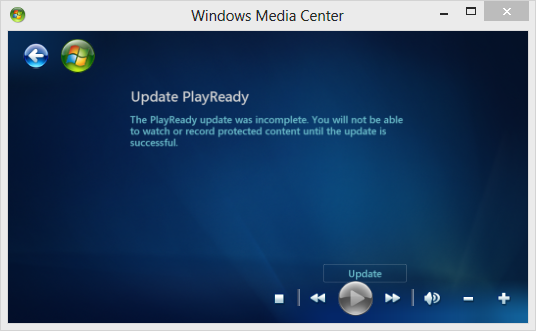 Plug-ins were used in the past to allow protected media playback, but these have been replaced with EME (browser extensions) like Microsoft PlayReady DRM and other technologies. Internet Explorer 11 used this technology to enable media playback. Edge is expected to go a step further and offer 4K (Ultra-HD video playback) streaming via their support for hosted web apps. If you enjoy streaming media on your PC, you will need to have the "Let sites save protected media licenses on my device" toggled ON. Microsoft Edge will also let you enable the Send Do Not Track requests option to websites that you visit. This will help you protect your privacy against websites, advertisers and third parties who try to track your browsing activity. Toggle the feature ON to protect your PC. In addition to privacy settings, Edge also brings a SmartScreen Filter protection against malicious downloads and websites. 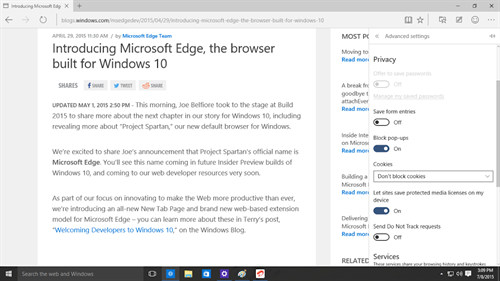 You can opt to use Page Prediction (around since IE 11) to speed up your browsing.